Located in a valley of the French Alps, in the heart of the Portes du Soleil, Morzine is a picturesque French market town, nestled amongst woodland, with panoramic views over the mountains. Although the town is a popular destination for visitors attracted by its charming appearance and wide array of sporting activities, the town has been well protected by strict planning regulations and still maintains a traditional French way of life. 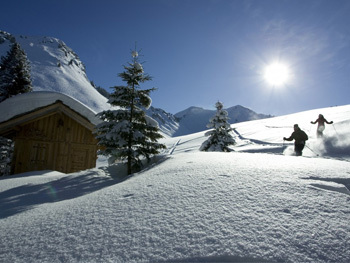 Year round, Morzine is a Mecca for outdoor activities; in the winter the 650 kilometres of sheltered slopes provide excellent conditions for skiing and snowboarding. 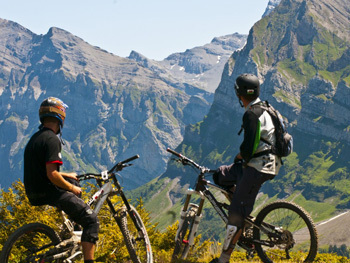 During the summer, the vast open spaces surrounding the town provide fantastic opportunities for hiking and mountain biking, and Morzine has been proud to host both the Tour de France and Mountain biking championships! Those visiting in the winter and wanting to ski will find the ski lifts conveniently located in the town centre, meaning you can ski every day before your language lessons begin. 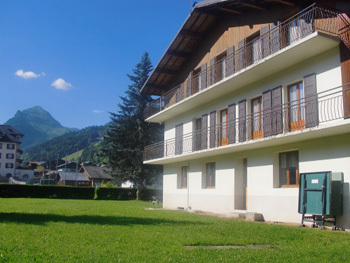 Our school in Morzine is located in the very centre of the town and boasts bright, modern facilities with 5 classrooms and a student study centre. Free wireless Internet access is available throughout the school building. Students studying in Morzine will find plenty of opportunity to interact with local people, and the school is proud to offer a ‘Friendly French’ scheme with local businesses who will encourage you to speak in French when you are out and about. Choose from a wide range of French courses in Morzine including the popular Semi-Intensive course (15 lessons each week). Each lesson lasts for 60 minutes and has a maximum class size of just 10 students. 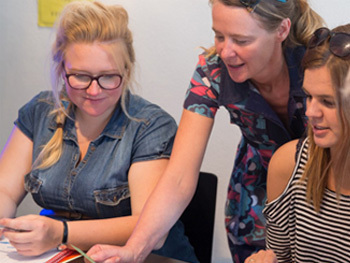 We can also arrange private lessons which will provide a real boost to your language studies by allowing you to focus on specific topics and consolidate your learning. 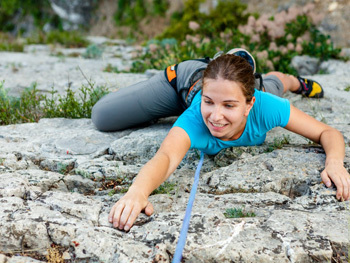 To get the most out of your learning, take a Semi Intensive + Private Lessons course, which allows you to combine 15 group lessons with 5 additional private lessons per week. Not only do you have the chance to interact with fellow language-learners, but also benefit from a more personalised programme! Morzine is a great location for outdoor activities and our French school offer a wide range of courses combining 15 language lessons each with different activities including French + Skiing, French + Hiking, French + Water Sports and French + Adventure Sports. 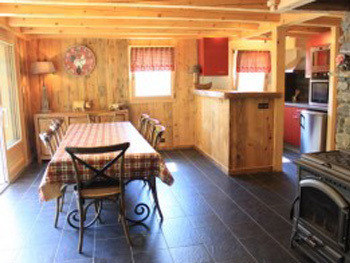 Our language school in Morzine recommends host family accommodation as a great option for students looking for immersion in the French language during their stay. Our friendly host families live just a short distance away from the school by bus, and accommodation is offered on a bed and breakfast or half-board basis. Shared apartment accommodation is also available on a self-catering basis and creates a very sociable atmosphere. 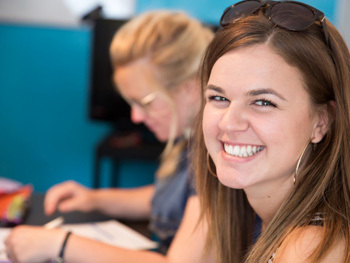 Student apartments comprise single or shared rooms with communal living facilities, and are situated just 5 minutes to the language school on foot. As with many of our French language schools, the school in Morzine offers students a varied activity programme outside the classroom. Students taking language lessons at the school will have the opportunity to join in with a wide range of activities including cheese and wine tasting, French film nights, market visits, excursions to places such as Yvoire, the Gorges du Diable and the Chateau de Ripaille, as well as many different sporting activities including hiking, paragliding, water rafting, canyoning and snowshoeing. 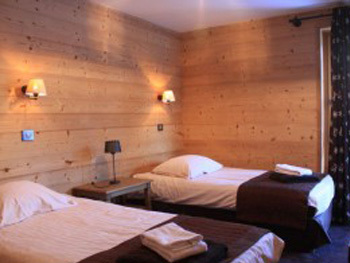 If you want to ski during your stay in Morzine (winter months only), the school can arrange ski passes for you, so everything is waiting for you at your accommodation when you arrive, ready for you to hit the slopes! There are 2 different passes available in the Morzine area, the Morzine-Les Gets ski pass which covers 120 kilometers of ski slopes and 48 lifts and offers skiing suitable for all ability levels, or the Les Portes du Soleil ski pass which covers 12 ski resorts between France and Switzerland, with a total of 285 slopes, 196 lifts and 90 restaurants, located over 400 square kilometres and is ideal for more advanced skiing. Just contact us to get prices for ski passes! The closest airport to Morzine is just over the Swiss border in Geneva. We recommend that students book the school’s shared transfer service which takes around 90 minutes to reach Morzine from Geneva. Please note that the transfer service is not included in the price of the programme, and will incur an additional fee. The materials were excellent. The tutors were so nice and very good teachers. Apple Languages understood my needs and met them. I got one to one attention and learned a lot. Cathy and Alain Jusselme were extremely good to us. They were so kind. The house was beautiful. Food was delicious. They looked after us very well. Monia Dini and Phillippa were exceptionally good and made every effort to give all information and make the trip easy and enjoyable. Will definitely use Apple again.